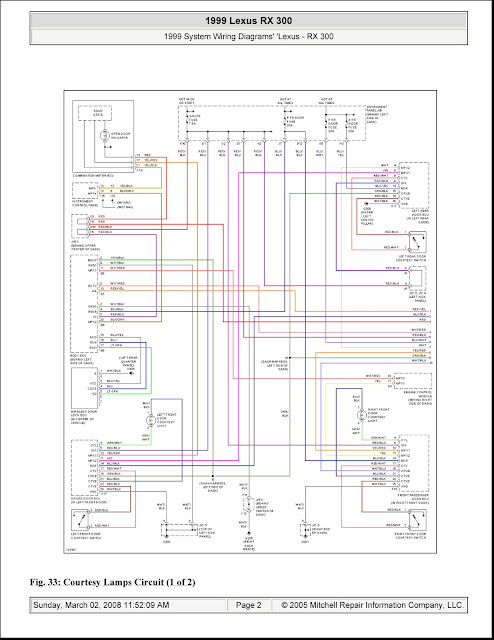 This schematic wiring diagrams will shoe the 1999 Lexus - RX 300 System Wiring Diagrams Interior Lights. It briefly and clearly figures the parts and components in the 1999 Lexus - RX 300 System Wiring Diagrams Interior Lights. You can see the parts like: instrument panel, open door indicator, gauge fuse, combinator meter, instrument control panel, left rear door ecu, left rear door courtesy switch, engine control module, right front door courtesy, left front passenger door ecu, right front door courtesy switch, driver door ecu, left front door courtesy switch, wireless door lock ecu, left front door courtesy light, body ecu. Besides, you will also see the color codes of the 1999 Lexus - RX 300 System Wiring Diagrams Interior Lights. You should comprehend both the parts/components and the color codes in order to minimize the risk of failures and mistakes while doing your wiring works on your 1999 Lexus - RX 300. 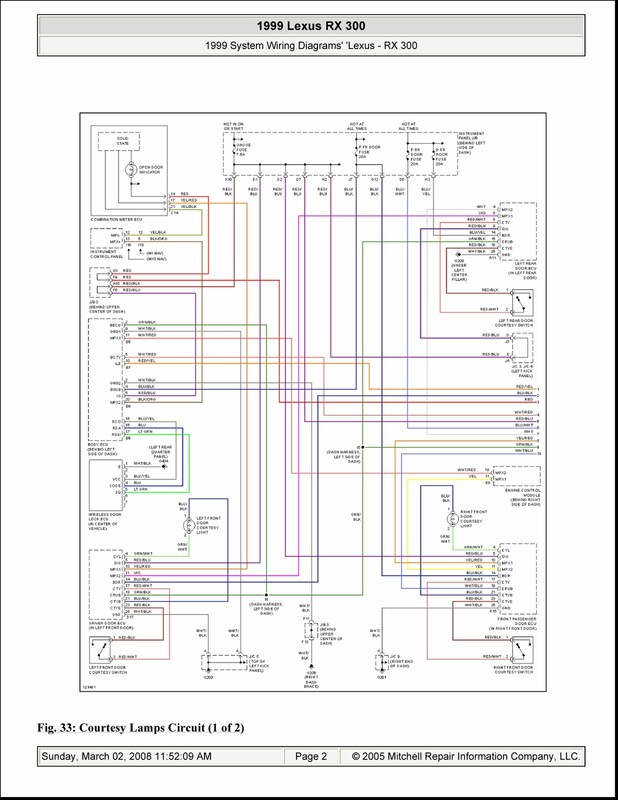 The clear and readable image below will show you in detail of the 1999 Lexus - RX 300 System Wiring Diagrams Interior Lights. click on the image to get larger view.